Canadian post-rock composer Flying Hórses (a.k.a. Jade Bergeron) has unveiled a new video for "Unsettled." The song will appear on her upcoming sophomore album Reverie, which is out February 22 via Bonsound. 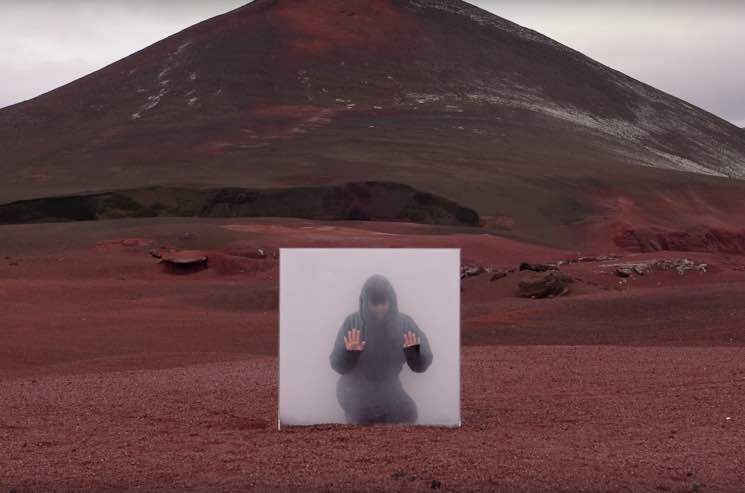 The video was filmed in Iceland by director Timothée Lambrecq, and it captures Bergeron confined in a small plexi-glass box filled with smoke and water. "There are no effects whatsoever in this production," Bergeron tells Exclaim! "The vision for this production came to Tim organically. He wanted to create an abstract visual of disconnection between between the box and nature. There were moments when my heart started beating fast because I really did feel trapped." The visuals complement the meaning behind the song. "The smoke-filled box is a metaphor for the overwhelming feeling of being unsettled," she adds. "Although you can see that there is beauty and light nearby, your mind cannot get there until it faces the darkness instead of trying to escape." Despite the second-hand claustrophobia, the video is filled with beautiful shots both inside and outside of the box. Watch the video for "Unsettled" below.